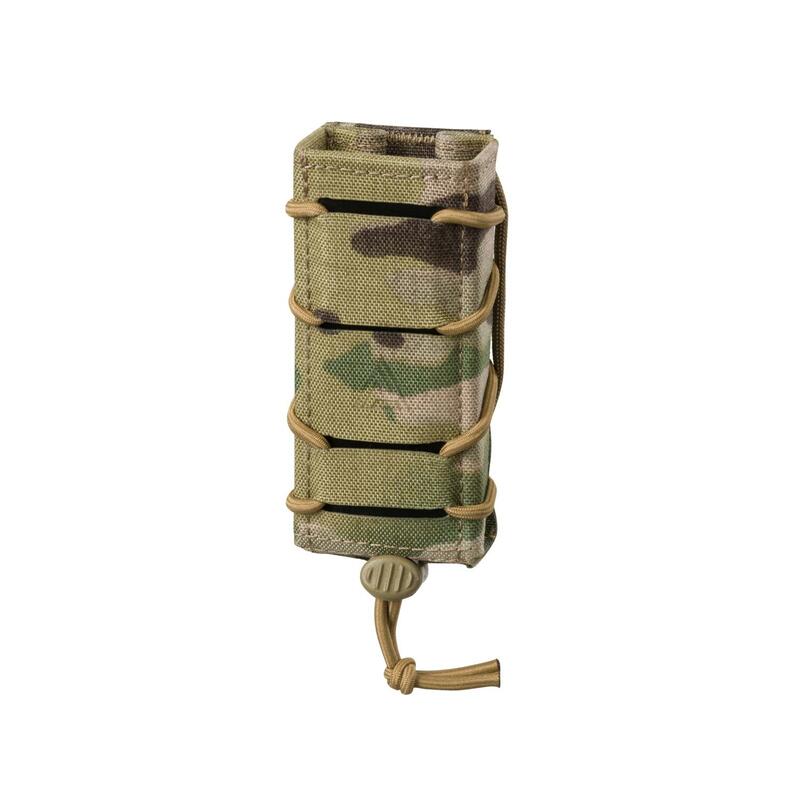 When combined with the Modular Belt Sleeve it can carry the weight of holsters and magazine pouches. I was very impressed with the quality especialy for the price. Unfortunately the smallest offered size of medium is a hair too big for me to wear without anything attached to it. I wish they made a small, since in order to wear this belt I have too much loose webbing, and the webbing you can adjust is very soft. It seems to fray easily and I have difficulty weaving it in to the austrailpin male end. This would be a perfect belt if the adjustable end was of stiffer webbing, and also if the female austrailpin was closer to the stiff section of the belt, that way there is more room for adjustment at the open end. Very tough belt, pairs brilliantly with the Mosquito. The nylon branch at the user’s left appendix area needs to be load bearing if it is not already (if it is I haven’t read that anywhere, needs clarification); or be replaced with a load bearing D ring altogether. It’s called the rescue belt specifically so I hope it is but I’m not going to assume. Over all I am pleased with it and would buy again. As always great service and presentation by DA, I hope you never lose that. I've been looking for something like this for years! 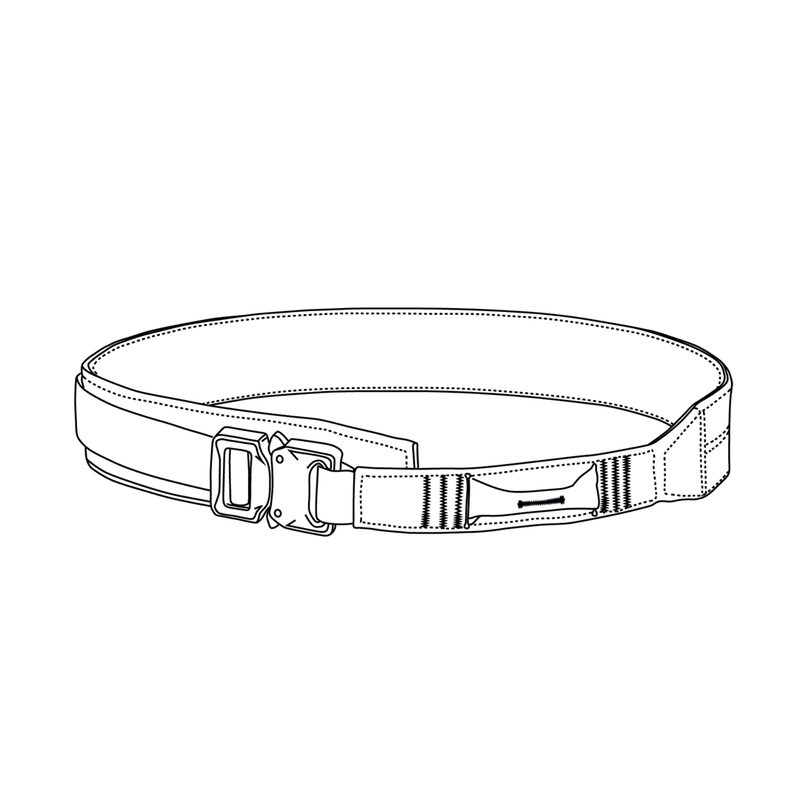 The tapered end combined with the Cobra buckle make this belt perfect for everyday carry. Holds tight and works great. 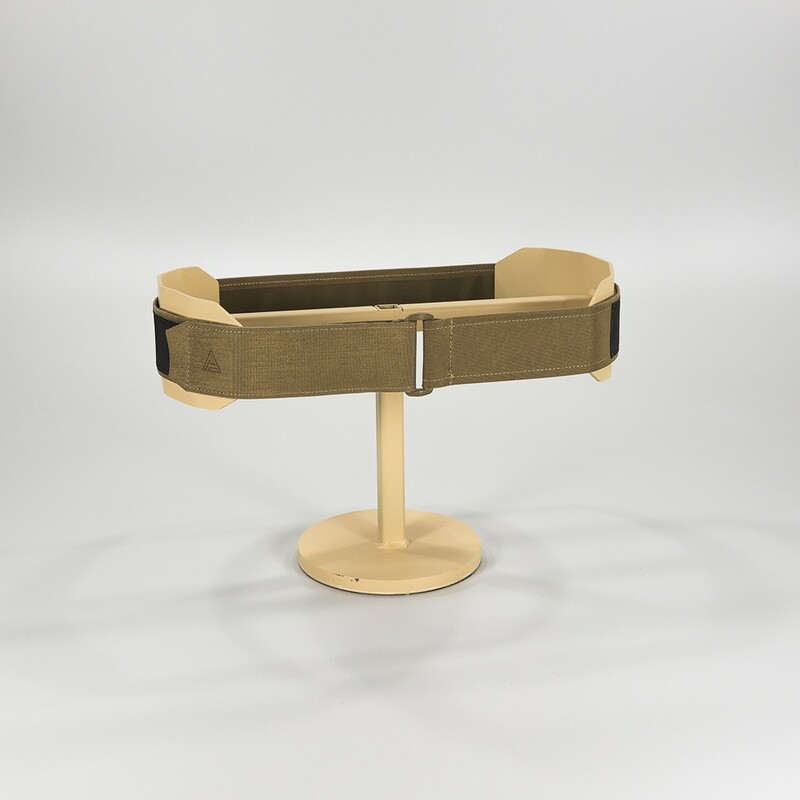 the belt made an extend in order to cover between your waist and the buckle, comfortable! 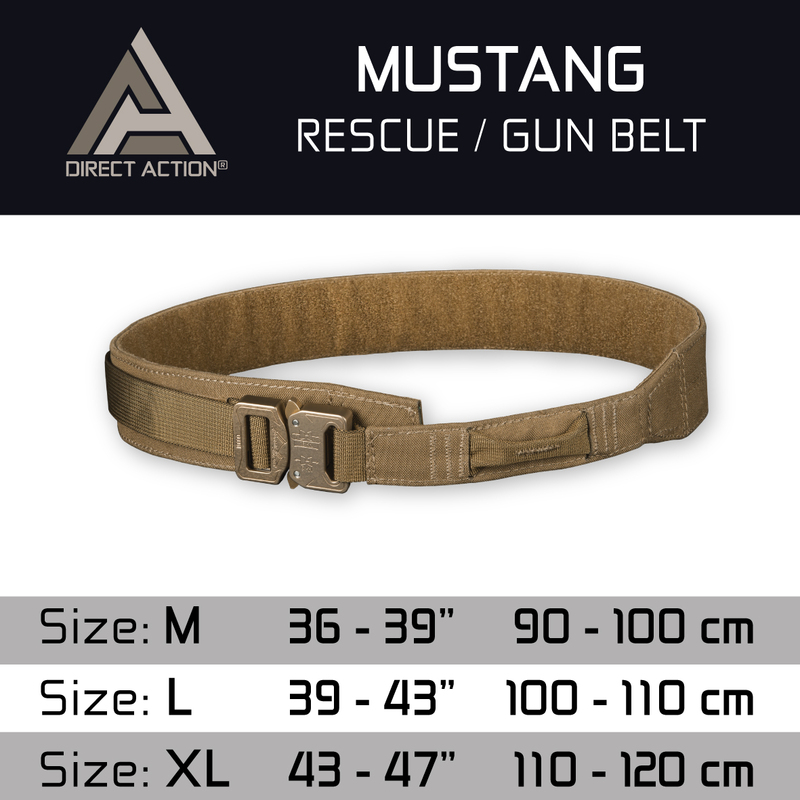 This belt when combined with the Mustang inner belt locks in place and will certainly keep any pouches in place. 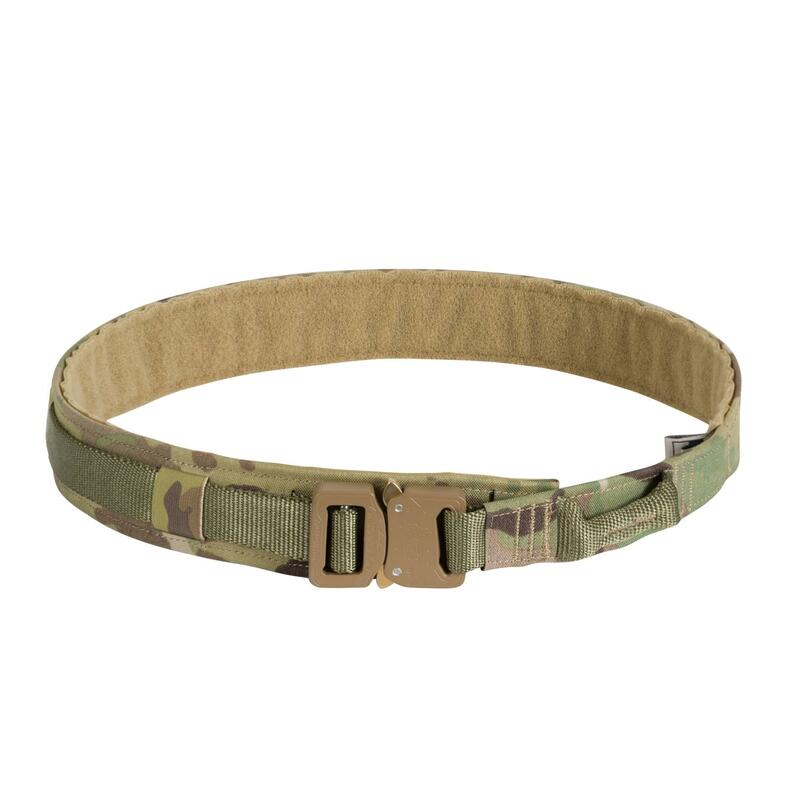 As with the inner belt, this belt is extremely light yet very sturdy, and for the price is an excellent purchase. Great piece of gear. Fits well and holds gear well. 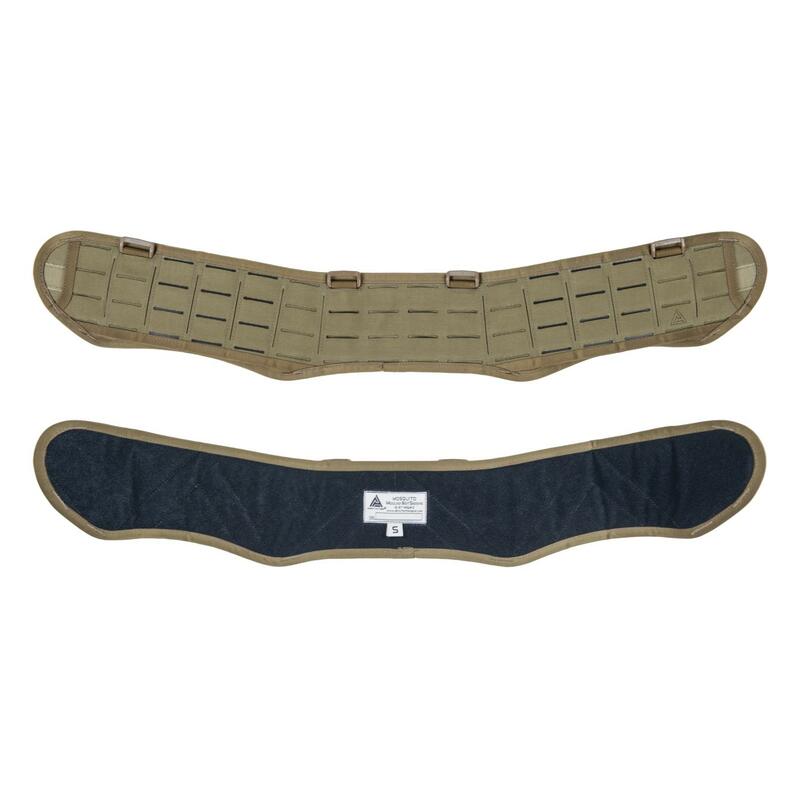 Has room to adjust if shooter wears belt outside of loops or gains a few pounds. The sizing chart was helpful so trust what it says. 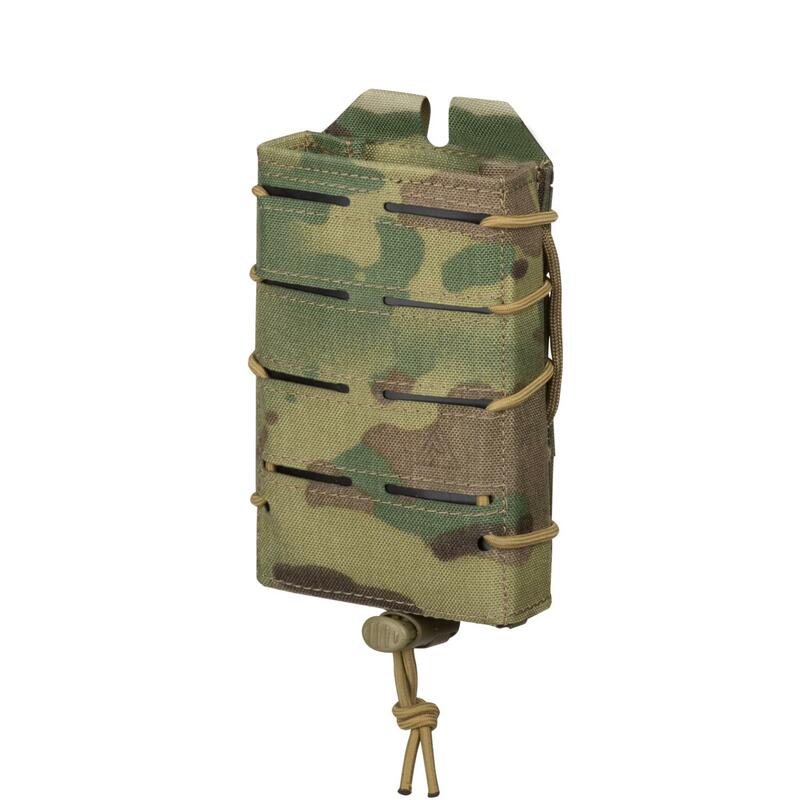 Fits well with HSGI Belt Pad and Shooter's Belt. Great belt at a great price. A good offering to look at. The built in fabric loop upfront is solid and a nice addition. Comfy to wear and very secure.